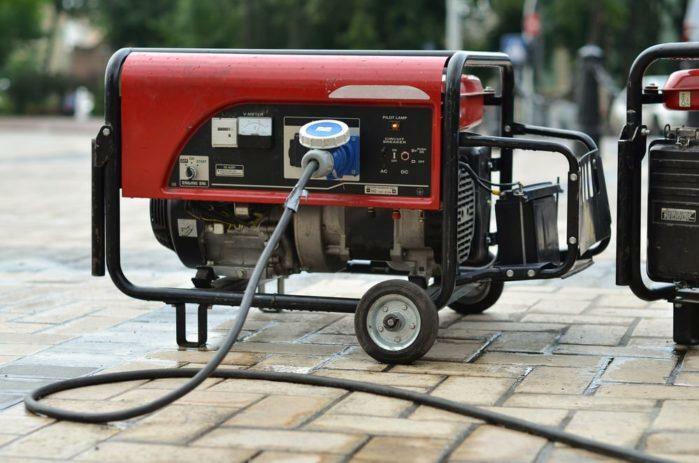 Whether it’s for the home backup, or for camping or any other occasion, a portable generator is a very handy thing to have. In the recent years, inverter generators came to the market and changed the game. They brought the portability, efficiency, low noise and advanced features, making the buying process quite complicated. Today we’re guiding you through that process – to find the best inverter generator money can buy in 2017. Wireless remote, wheels and foldable handle, two USB ports, low oil automatic shutoff, fuel gauge, and ECO mode. These are the specs for the generators we’ve reviewed and compared for you. For detailed reviews, scroll below. What to look for in an inverter generator? Which Generator Wins the Roundup? Since these generators come with several improvements compared to the conventional ones, there are multiple features and options to look for. The first question you should ask yourself is – for what you intend to use this device? Be honest with yourself because if you change your mind later, the product you’ve got might not fulfill your needs and requirements. When you’re completely sure about the intended usage (you can consider the alternate roles for your generator, like an occasional trip), then you can proceed to the other features. We’ve ranked and categorized the features by importance for you. The first and most important characteristic to look for in a generator, measured in watts. You should pick the product based on the number of appliances and electrical devices you plan on plugging into the generator. Here’s the list of average wattage required for basic home appliances, it can help a lot. Based on it, you can calculate the required output you’ll need. Be aware that the advertised wattage of many generators is advertised as at least 20% stronger than it actually is. That’s because the generators generate such amount of power in the first five seconds since starting up, and then lower down to the regular wattage. So be extra careful when inspecting and comparing wattage. The difference between the starting power and working state power is quite different, and that goes for the power output of the generator and the appliances’ demands as well. The next best thing to look for in determining the weight and size is to look for the fuel capacity and efficiency. This directly relates to the fact – how much energy your generator will be able to produce, and how much fuel can it contain. Second, the fuel efficiency brings the info on how much energy a generator will be able to produce based on the amount of fuel. Remember the feature we mentioned above, that the inverter generators lower the RPM depending on the number of devices connected to it? Well, this feature also reduces the fuel consumption while providing enough energy for the connected devices. Emissions that come out of the generator are also significant in the specific regions where regulations are strict. The fuel efficiency directly affects this. A good example is a strict law in California, where California Air Resources Board must certify the generators. Since inverter generators usually come as portable devices, looking into the device’s weight and measurements comes as a pretty much must-to. This statement is even more important if you’re planning on using it on camping trips or trips in general. You don’t want to carry a cumbersome generator or not to fit it into the intended slot in your camper. The maneuverability of the inverter generator is very importable on the trips, especially when you need to get it out of the truck or the trailer and set it up for work. The general rule of thumb for these devices goes – the more power output, the heavier the generator. Always check the dimensions, weight, and the design of the generator for handles, wheels, and other features that improve maneuverability. You want your generator to be as quiet as possible while delivering the proper energy output. Depending on the brand, model, and power output you choose you can expect the level of noise to go up gradually similar to the quality and increase of the characteristics mentioned above. The engineers in manufacturing companies work hard to deliver the same efficiency and power while reducing the noise levels. That’s how the noise mufflers and similar innovations are coming installed with the latest generators on the market. Vibrations are there as well – be sure to inspect the level of vibrations the generator you intend to buy emits. Reducing noise is one of the main reasons inverter technology was used to create the new generation of generators. They reduce the amount of RPM based on the current load, so if you’re planning not to use the generator to power multiple devices, you can expect low noise. Features like a fuel gauge, automatic low-fuel shut-off, indicator lights, LED displays, and manual fuel shut-off switch are commonly built in the high-quality products. When comparing between the two similar generators by power and weight/maneuverability, additional features might be the edge that will judge in favor of one product against the other. 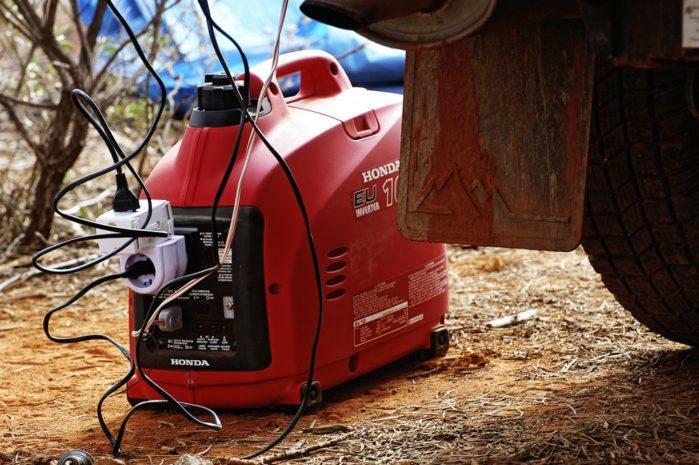 One of the most popular and highly recommended portable inverter generators on the market, Honda’s EU2000I brings a powerful punch while being very compact and maneuverable. Its bright red color and high-quality build (thanks to the materials and Honda’s craftmanship) deliver a premium experience handling and using the product. This inverter generator comes advertised as a 2000 wat inverter generator, but the truth is that this number is reached only during the startup phase. The startup energy drive diminishes quickly, after a few seconds, and gets to the working level, which is around 1600 watts of power. That’s still quite enough to power several important devices on a camping or when the power runs out. The area where EU2000I shines is powering energy-hungry machines. 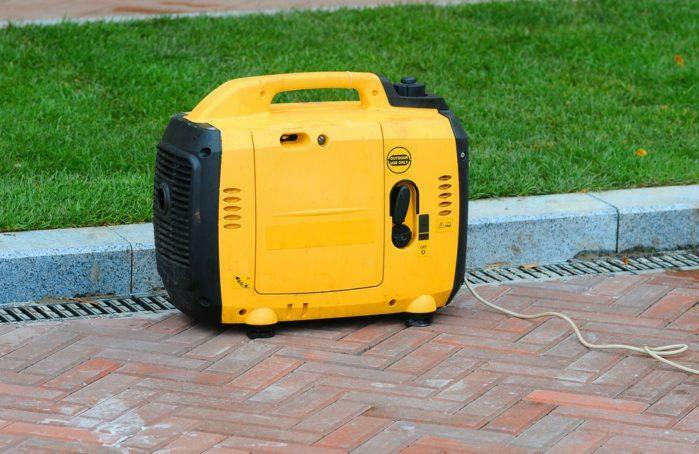 This is the only generator with this wattage to successfully power the demanding devices like power tools. That means that it can power an electric chainsaw which you can use for lumber in the woods, to prepare the fire and set up camp. Its durability is also quite high, since this model is among the best, yet it’s sold since 2002. On the other hand, the noise levels aren’t as satisfying as other areas of performance. Honda’s EU2000I scores around 82 decibels of noise at full load and around 60 at a 25-yard distance. Coming from a reputable brand in the electronics market, 56200i is the smaller and weaker generator from the manufacturer’s lineup of portable generators. It comes with a 2000 start wattage and 1600 running wattage, which seems to be the standard in this section. The build quality is quite decent, and the yellow-gray casing packs all the features and 79,7cc gas-powered engine and a one-gallon fuel tank. The generator itself feels sturdy, compact (18 x 11 x 18 inches) and moderately heavy. The manufacturer advertises the clean and efficient energy output, without square-shaped waves of electrical energy which are harder for your appliances, especially laptops and television. That means no overheating and risk of possible malfunction of your devices during the connection. That’s one of its big selling points, next to the very affordable price when we consider the number of features it brings. Compared to its counterparts in today’s guide, 56200i is pretty quiet; around 51 decibels of noise at quarter load. The inverter technology in this one is quite advanced, enabling high efficiency for the otherwise small fuel tank. Even though this does sound nice, the overall run time isn’t as good as the other devices compared today. The additional features include a low oil indicator, a USB port, two three-prong 120V receptacles and one 12V DC receptacle, alongside the standard ports. Westinghouse WH2200iXLT is a powerful, reliable and sturdy generator, coming from a reputable manufacturer. The generator is gasoline-powered and comes with a variety of features, decent weight, and size (43 pounds, 17.8 x 12.5 x 20.3 inches), and quite the power (2200 watts on startup, 1800 watts while working). The blue color and quality-made casing provide enough maneuverability and ease of use, especially for gas refills and starting up. It is very easy to start it up – press the yellow button and pull the cord starter. The built-in reservoir can house 1,3 gallons of fuel, which is enough for 13 hours of run time under 25% load. That 25% equals 450 watts, which is enough to power various electronics or a full-sized barbecue in the forest, for example. WH220iXLT is quiet, and depending on the load it can get louder. We can categorize it as a medium in this area. Feature-wise, this model is a mixed bag; there are two USB ports, a parallel capability (pair it up with another unit and double the power and energy), and a low fuel indicator light, but there is no low oil shutoff. Having a nice indicator or a LED display isn’t included, unfortunately. The model 30651 (P2200) from Briggs & Stratton comes as a smaller and weaker version of the P3000 model. This model is aimed to please casual campers and people who don’t intend to power the big devices, and it delivers quite decent performance for it. The “2200” in the name is for 2200 starting watts, which goes to the 1700 watts of power while working. Even though it is a smaller unit out of two, Briggs & Stratton 30651 is on the heavier side (55 pounds, 19.9 x 14.4 x 22.4 inches), which means it won’t be easy to transport or maneuver. The powerful motor (111 cc, OHV) is the main responsible for this downside, but it backs the device up with a clean, non-distorted (less than 3% harmonic distortion) energy safe for sensitive electronics. The start mechanism is good, and the fuel container has the 1-gallon capacity. 30651 emits medium noise, similar to its counterparts in today’s comparison, but also emits a bit more air contamination. That makes it not certified for the state of California. Feature-vise, this generator offers parallel connector port, two 120V-20A outlets, one 12V-20A DC outlet, no fuel gauge, USB adapter (not direct USB port), and no gasoline switch. The warranty offers two possibilities – 12 or 24 months. Here we have the first device on the today’s buying guide which is a bigger version of the two in the product line. 75537i is a bigger, more capable and heavier version of 73536i, a very capable and popular product from this renowned manufacturer. The products from this brand come as durable, efficient, and robust. 75537i features 3100 starting and 2800 running watts of raw strength, which it delivers through a variety of ports; 120V 30A RV, two 120V 20A, and a 12V DC outlets. This performance will come at a cost – the generator will be quite loud when pushed to a higher load. To deliver such power, the generator has to be a bit larger and heavier, which is the case here; it weighs 96.6 pounds and measures 20.1 inches in height, 20.5 in width, and 28.1 inches in length. These numbers might seem formidable, but the casing is enhanced with puncture-proof wheels and a foldable long handle to help you move it around. Regarding additional features, 75537i delivers one of the best packages available in the market, especially when we consider the price. There are wireless remote, low oil automatic shutoff, fuel gauge, and ECO mode. Well worth the price, especially when compared with other models we tested today. At the end of our reviews, it’s time to conclude the comparison of these generators. With everything said taken into consideration, it’s logical to say that personal needs and situation might determine the winning product. On the other hand, when you consider the things to look for, the answer is obvious - Champion Power Equipment 75537i wins the roundup easily. The decision is easy because of the winner’s performance, maneuverability, several high-quality ports, and superb warranty backed up by one of the best manufacturers. It doesn’t mean the other products won’t satisfy your needs, or be even better, but in the overall comparison, 75537i simply provides more.